We’re looking forward to talking to Tara Sophia Mohr on TWE Radio soon. If you want to be smart and creative (and who doesn’t? ), you can find out how to develop those attributes from principles that Tara has learned from her many years of coaching women. Her “10 Rules for Brilliant Women” article in the Huffington Post spread throughout the internet. It was read worldwide as women from Saudi Arabia to Kazakhstan translated the story. You can find how to get her downloadable Workbook providing ways to apply those rules free here. She also created the PLAYING BIG Women’s Leadership Training Program, a six-month virtual learning experience, that begins online this October. We can’t wait to talk to her about all of these ventures and how we can learn to be better leaders and, of course, brilliant. She’ll be a guest on TWE Radio Oct. 27 and 28. We are delighted to welcome back Lee Woodruff to TWE Radio. She’s a writer (this is her third book), CBS This Morning Contributor, and motivational speaker. 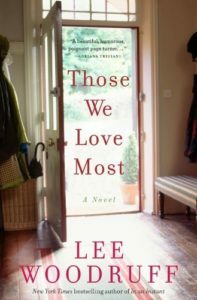 She talked about her upcoming debut novel, Those We Love Most, last year on The Women’s Eye with Stacey Gualandi, and we’re delighted that it’s just been published. She’ll guest with Stacey in October (date to be announced) on 1480KPHX and discuss recovering from loss, the resiliency it takes to move forward and a host of other topics. 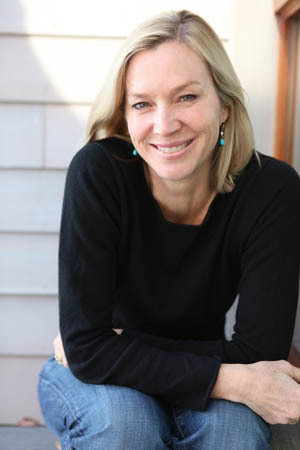 Lee authored Perfectly Imperfect-A Life in Progress and In an Instant, co-written with her husband, ABC News correspondent Bob Woodruff , who suffered traumatic brain injuries as a result of being hit by a roadside bomb in Iraq. They both work tirelessly for Remind.org, their foundation to assist those wounded in the service and their families. Don’t forget to tune in to TWE Radio Oct. 27 and 28! 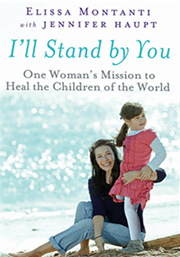 September 2, 2012–We are excited to report that Elissa Montanti, author of the new book, “I’ll Stand By You–One Woman’s Mission to Heal the Children of the World,” will be on TWE Radio during October. You may have seen the outstanding piece that “60 Minutes” produced on her last year. Single-handedly, she launched the Global Medical Relief Fund that brings children to America who need new limbs and new lives. Elissa’s interview airs on TWE Radio Oct.10 and 11. April 26, 2012 –Phoenix, AZ—Lilly Ledbetter, best known for being at the center of that historic discrimination case that inspired the Lilly Ledbetter Fair Pay Restoration Actof 2009, as well as the first official piece of legislation that President Obama signed into law when he got into office, spoke one-on-one-with Stacey Gualandi, host of “The Women’s Eye Radio Show,” for an interview airing on April 28-29. This interview will be broadcast Saturday April 28 at 10am PST and Sunday April 29 at 2pm PST on 1480 KPHX in Phoenix along with a live stream on http://ww.1480kphx.com. 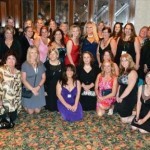 Podcasts will be available online at The Women’s Eye (http://www.thewomenseye.com). Ledbetter discussed her memoir “Grace and Grit,” and will speak to being in the headlines over recent criticism of the Act. 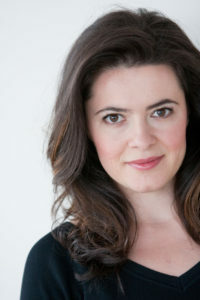 Pamela Burke is the Executive Producer of the website and the radio program. She has been a Producer and/or Executive for NBC, LIFETIME Cable Network, USA Network, USA Today –The Television Show, King World and CBS, A&E Cable Network and DISCOVERY. Entertainment journalist Stacey Gualandi is the host of “The Women’s Eye Radio Show” and a contributing correspondent to the website. Her credits include Inside Edition, TV Guide Network, Hallmark Channel, and EXTRA. The Women’s Eye web site launched in 2010 to share the positive work of women throughout the globe. Tune into the show as it streams live on 1480KPHX.com on Saturdays and Sundays. For more information or to arrange an interview with Pamela Burke or Stacey Gualandi, contact “The Women’s Eye Radio Show”at thewomenseye@gmail.com or call 310-709-1101. NEW WOMEN’S EYE WEBSITE COMING SOON! Thank you so much for subscribing to The Women’s Eye and listening to The Women’s Eye Radio Show! The site is almost two years old so we thought it was time to give it a new design. Here’s a sneak peek at the Home Page of our new site. It features a slider for our recent interviews and an easier, photo-rich way to see the wide range of inspiring women we’ve covered at The Women’s Eye. You can dive into their stories, listen to their interviews and learn about their endeavors as they make a difference throughout the world. We appreciate you taking the time to read our articles and listen to our radio program hosted by Stacey Gualandi on 1480KPHX and the live stream at 148oKPHX.com. The new site will be live SOON, and we hope you like it. Please give us your feedback. It’s a process, and we are constantly evolving the look and content. Feel free to suggest people and stories that you’d like to see on the site by contacting The Women’s Eye. It’s great to hear from you! The Women’s Eye Radio Show celebrates one year on the air at 1480KPHX, Sat. April 21. We want to thank all the wonderful guests we’ve had during the past year! They were full of hope, inspiration, knowledge, ideas, and just plain fun. 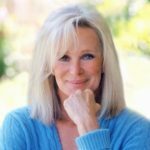 To help us celebrate the occasion, we’re very excited to have the talented television star and author, Linda Evans, joining us to talk about her new book, “Recipes for Life,” her passion for cooking, and her incredible life. 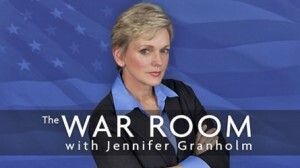 March 27, 2012–We can’t wait to have Lilly Ledbetter on the radio show April 28, 29. 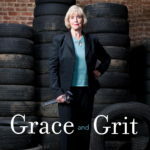 She has a fascinating book out, Grace and Grit, describing her courageous fight for equal pay and fairness at the Goodyear Tire factory during the 1980s. Her determination led to the Lilly Ledbetter Fair Pay Restoration Act which was landmark legislation signed by President Obama this past January. You won’t want to miss this interview! 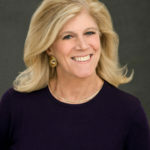 Lynn Sherr, broadcast journalist with more than 30 years at ABC, will also be on the show to talk about her fascinating career and the many books she’s written on a variety of subjects including giraffes. Her new book is Swim, Why we Love the Water.